"The most obnoxious apartment ad i've ever seen," writes John Semley on Twitter. 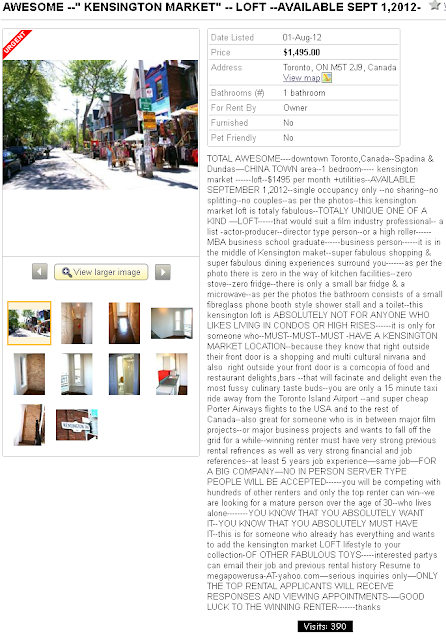 That's really saying something, since Kijiji Apartment ads can be brutal on a good day. In this case, the typesetting alone would turn me off, but it's the text that makes your jaw drop and ask -- are you kidding me? Ewww! I would not want this place for free!